Our newly-installed Canon imagePRESS C1+ printer and copier offers unbeatable quality and copies up to 1,000 documents in under 20 minutes. We have Canon and Ricoh copiers that offer high quality and speed. Prices start at 20p per A4 side colour and 3p per A4 side black and white. 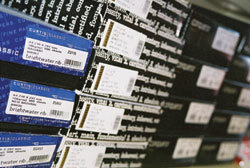 We have a huge range of specialist and office papers to choose from.